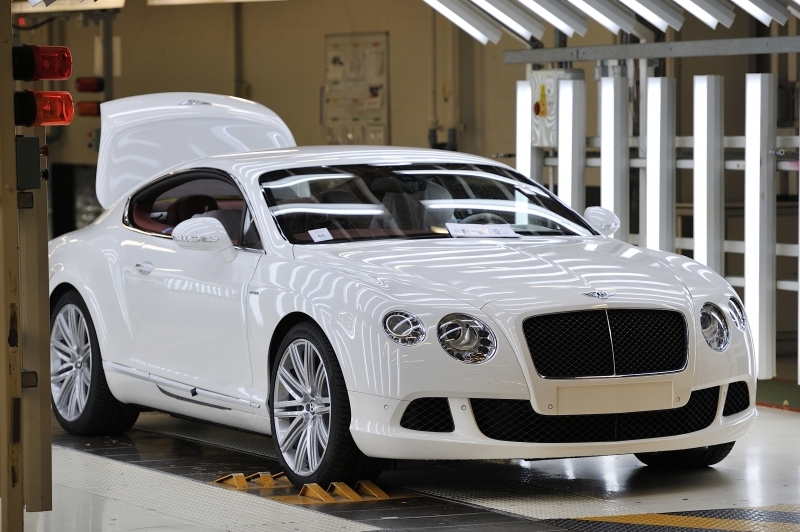 Since 1946, the Pyms Lane factory in Crewe has been the home of Bentley Motors. We take a look inside and explore some of the facts & figures behind the site. 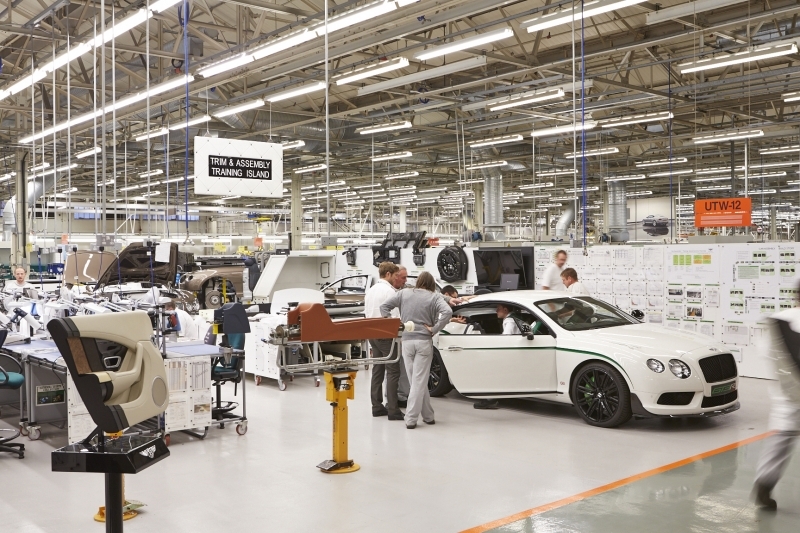 The Bentley Motors factory is a fully integrated site – all aspects of car production from Design, Engineering, Manufacture, Quality, and Sales & Marketing take place in Crewe. 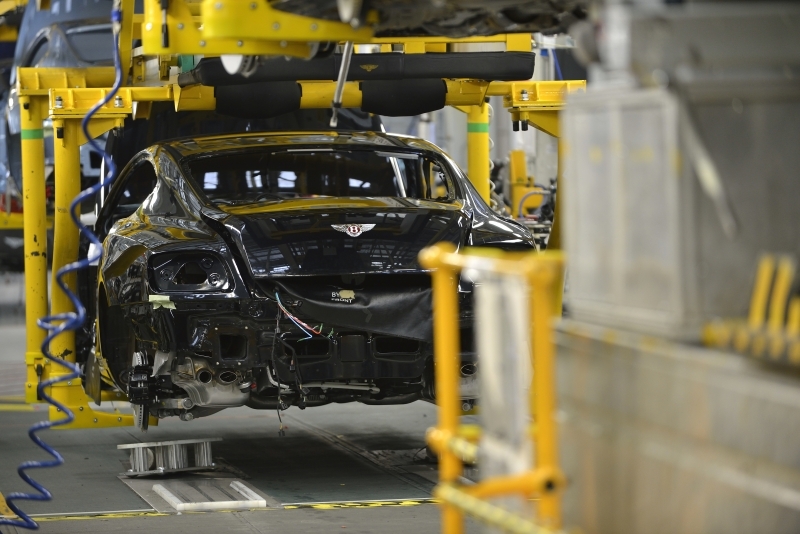 It takes around 110 hours to build a Continental GT, around 130 to build a Flying Spur, 130 to build a Bentayga, and around 400 to build a Mulsanne from start to finish. 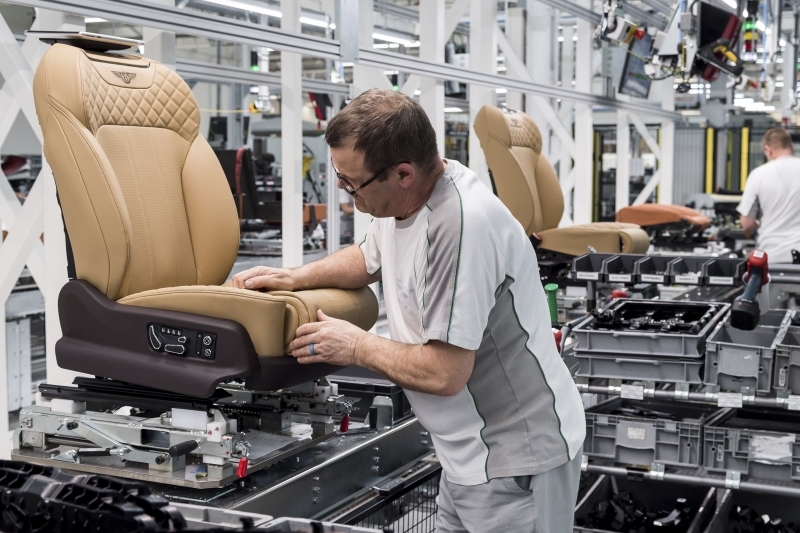 Bentley is the first UK Automotive plant to achieve both the ISO 14001 environmental standard and ISO 50001 energy management standard. While the company has increased production volumes tenfold over the last decade, the amount of energy used per car has fallen by over 60%. Two lines operate inside the main assembly hall, one for the Bentayga and one for Continental and Flying Spur models. 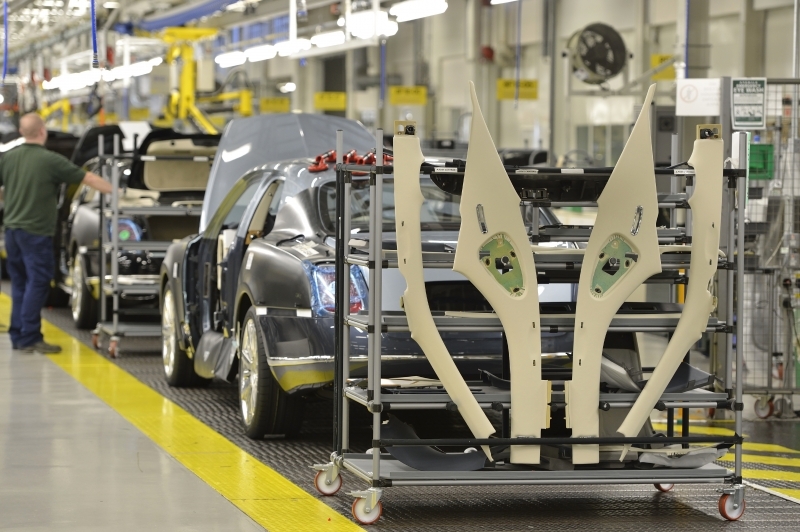 The flagship Mulsanne is hand built in a separate assembly area. More than 700 businesses supply 18,000 parts from 31 countries and five continents to Crewe – 82 suppliers are located within a 50-mile radius of the factory. The heart of each Bentley is the engine, and each one is handcrafted. 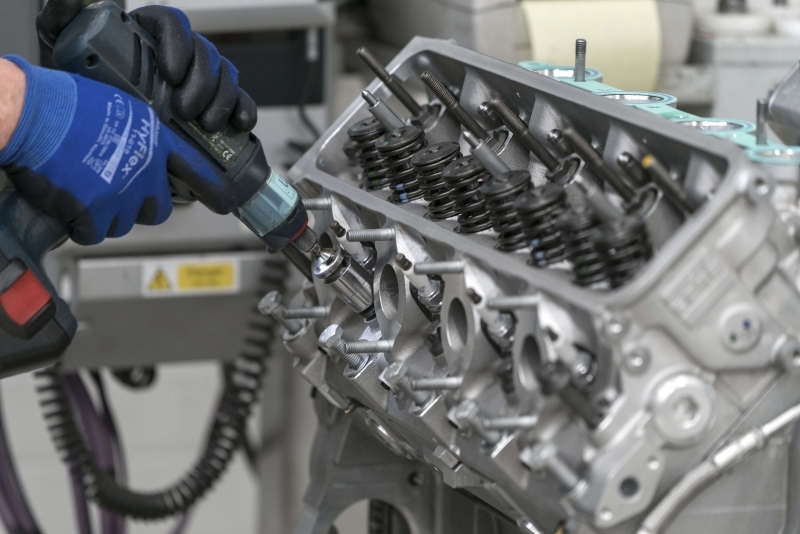 Every single component of the 6¾-litre twin-turbo V8 and 6-litre W12 is selected and installed by hand by a small team of dedicated engine technicians. The Pyms Lane factory has a rich history of engine production, producing around 26 thousand Merlin Engines between 1938 and 1945. 3,000 bull hides are used every week in Bentley’s Leather Workshop. Around 15 bull hides go into every Mulsanne, around 14 in a Bentayga, 13 in a Flying Spur, 11 in a Continental, or 10 for the Convertible version. 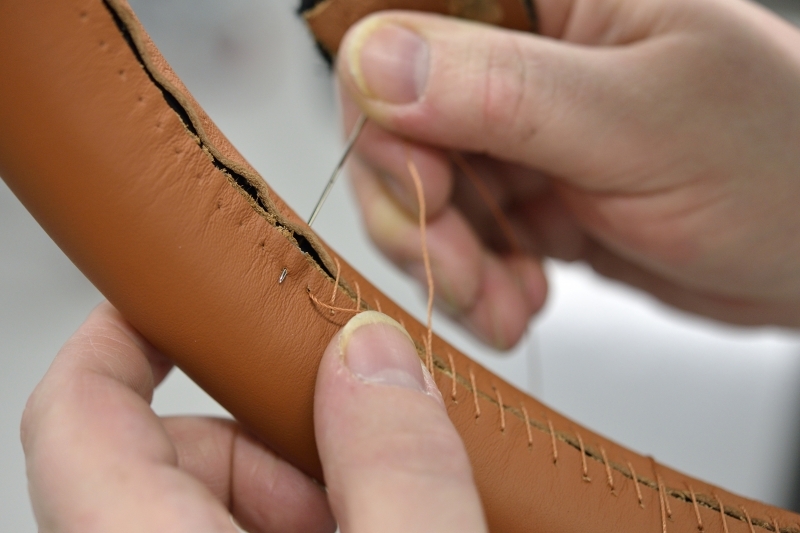 Every Mulsanne steering wheel takes one person 10 metres of thread, 5 hours and 620 stitches to complete. A Bentley craftsperson would be able to correctly identify whether the cross stitching inside a Bentley is their work by the stitching alone. 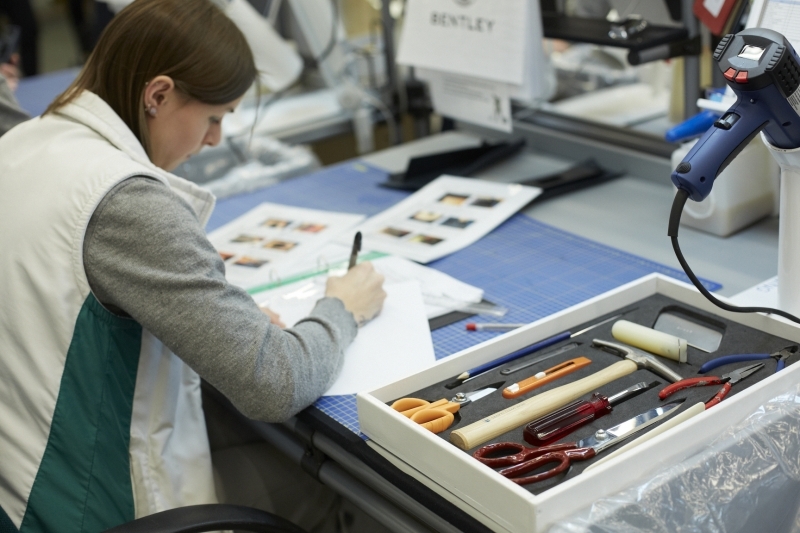 Bentley trainees benefit from having a number of female engineers as role models. 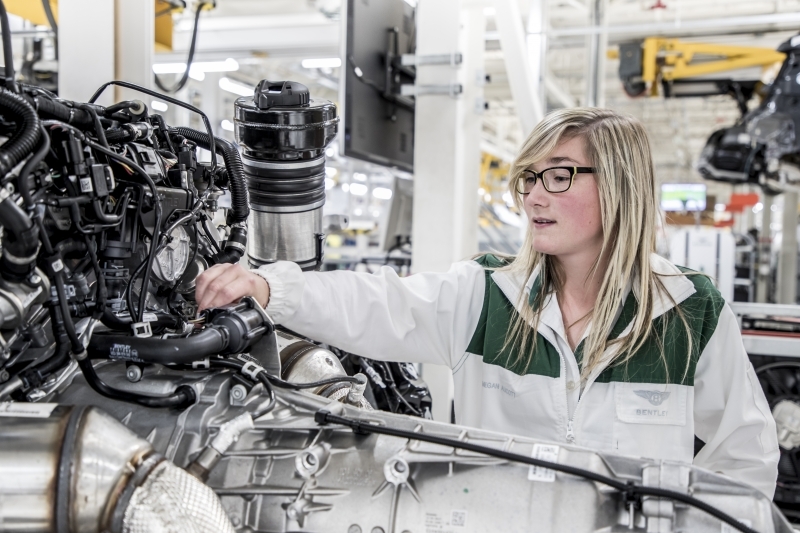 Female manufacturing apprentices have run ‘Girls into Manufacturing’ and ‘Girls into Engineering’ sessions at the factory, giving pupils from local schools hands-on experience of what it’s like to be an engineer at Bentley. 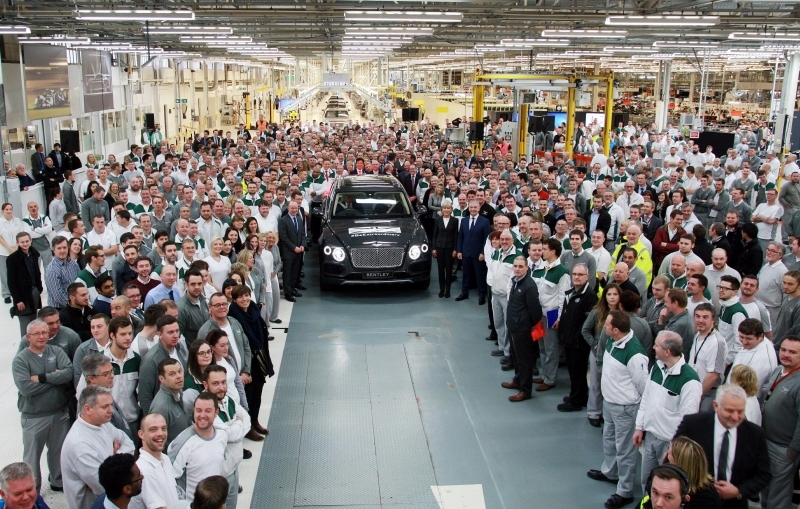 Bentley announced 86 Apprentice, Undergraduate and Graduate vacancies in 2018. 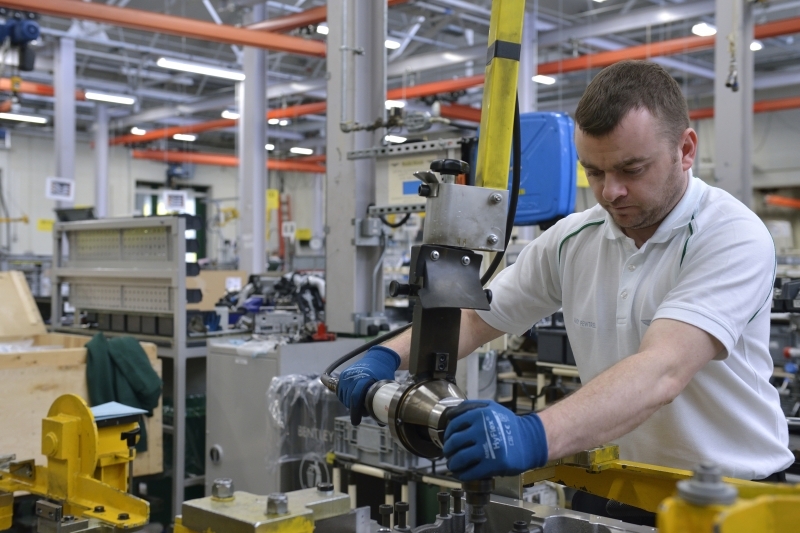 Half of the Apprentices that join Bentley will undertake their manufacturing programme. 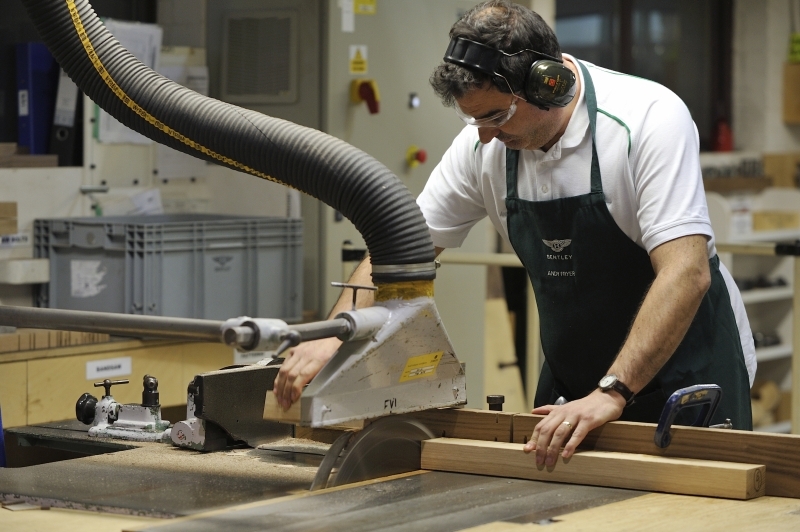 A Bentley wood specialist views around 25,000 square metres of veneer in its raw form during selection, checking every inch, to ensure it is of the finest quality, a process that takes two days. 20,815 solar panels on Bentley’s factory roof can supply up to 40% of the site’s electrical requirements and save an estimated 2,150 tons of CO2 emissions a year. Situated over 3.45 hectares of roof space, they generate enough energy to power 1,200 houses for a year. In February 2018, Bentley was recognised as a Top Employer for the seventh consecutive year by the Top Employers Institute, highlighting the firm’s emphasis on continuous improvement, employee conditions and dedication to its workforce. Bentley engages with schools from the local community, offering 150 work experience positions to pupils from the Crewe area – the company’s school liaison programme also works to raise interest in STEM subjects at schools, and offers foreign language sessions and careers advice. 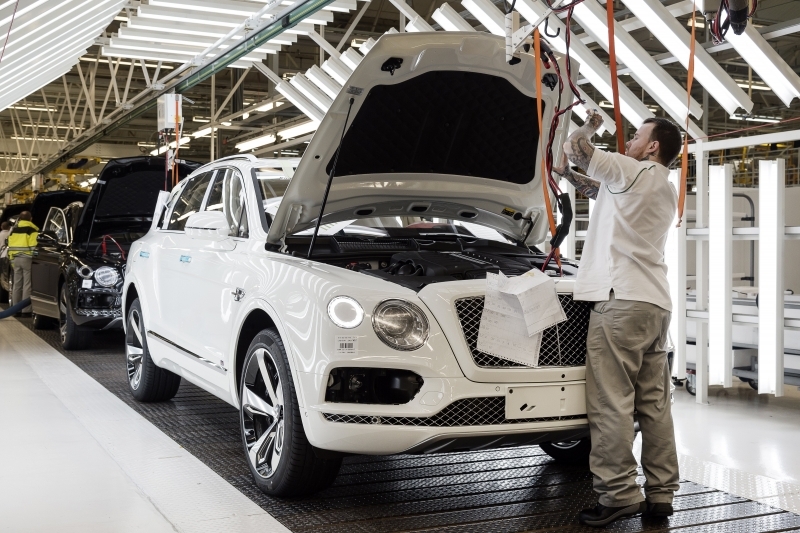 The Mulsanne is handcrafted from the ground up taking a 400-hour journey to completion, with 570 kg of steel and aluminium brought together by the 83 Bentley employees. 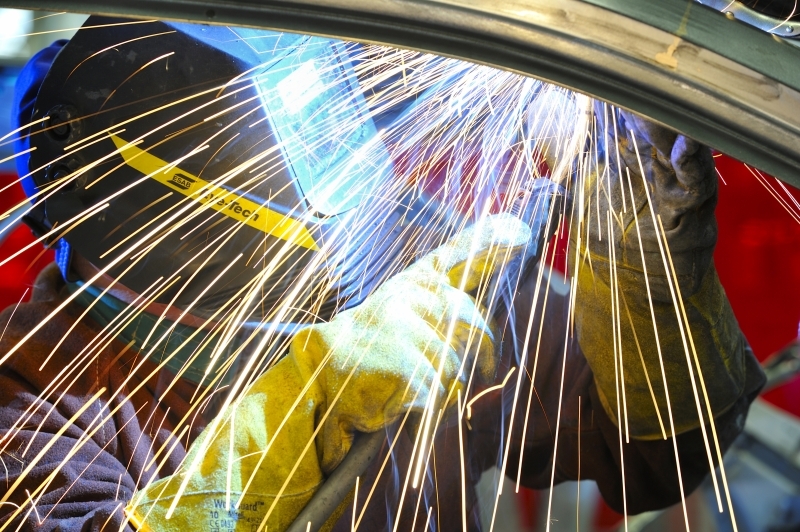 Working by hand and by eye, the Mulsanne master metalworkers expertly complete hundreds of metres of welding and 5,800 individual welds. 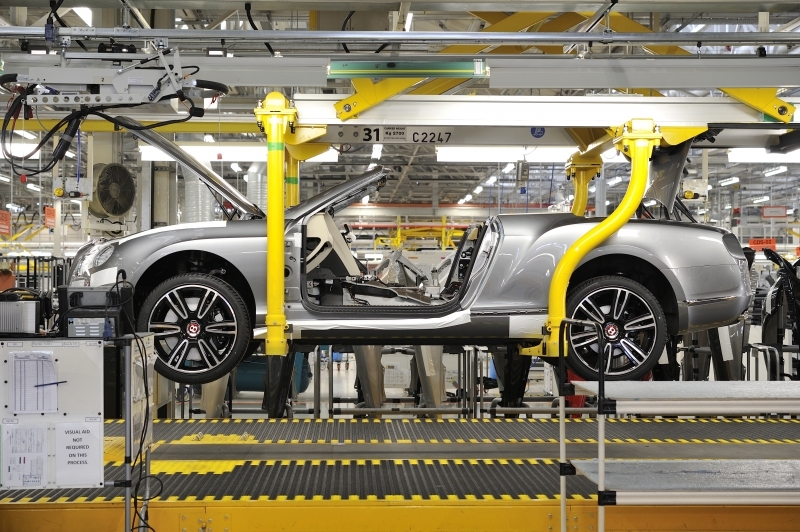 702 Bentley employees work in the main assembly area. When all production elements have come together by hand, each car is checked by eye for quality against a 500-650 point checklist.